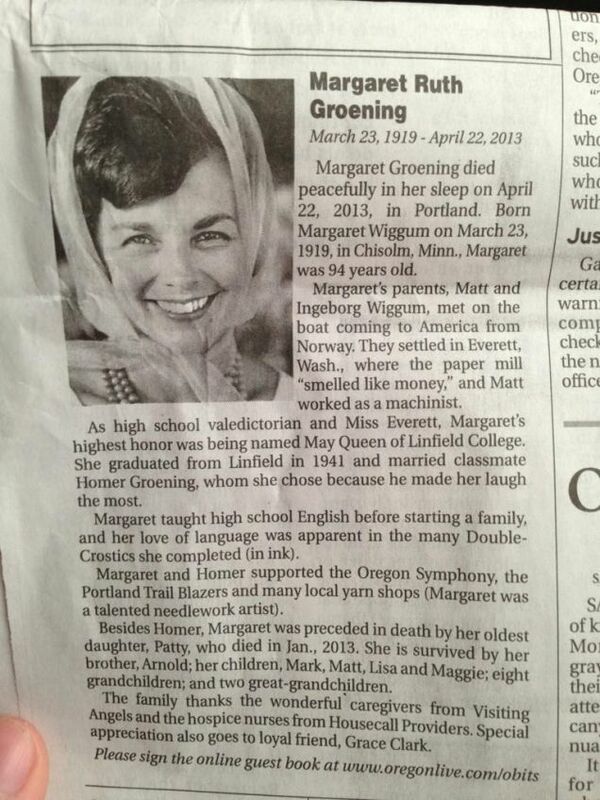 Simpsons creator Matt Groening's mother Margaret Ruth (née Wiggum) recently passed away at the age of 94. That's bad. She lived a long and happy life, and died peacefully in her sleep. That's good. 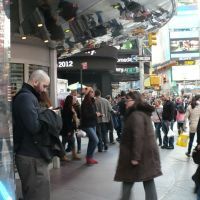 She inspired Matt to create the beloved character of Marge Simpson, and her death leaves a hole in the hearts of many Simpsons fans around the world. That's bad. 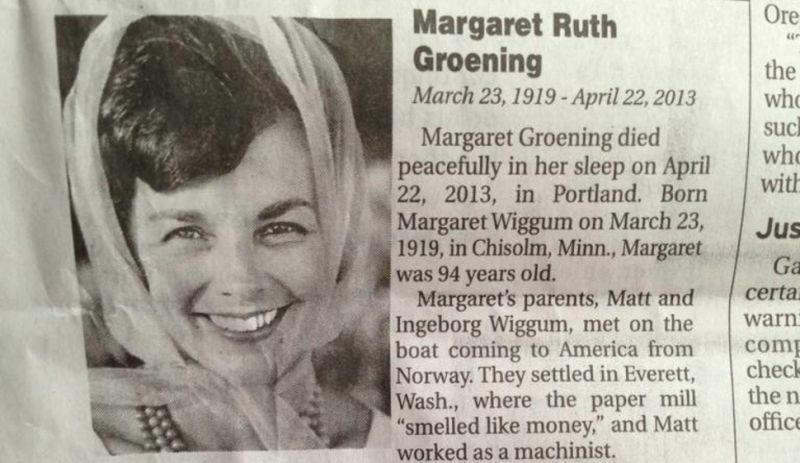 But her obituary is a delightful tribute to a wonderful woman, whose world was filled with many colorful characters, several of whom also inspired same-named animated counterparts in Matt Groening's Springfield.